SAINT PAUL – The restoration and remodel of a 70-year-old academic center has done more than reimagine a student resource at Gustavus Adolphus College. Recently certified LEED® Gold, Arthur H. Anderson Hall advances the goal of the historic college to build upon its Scandinavian heritage and advance sustainable strategies throughout the campus. Anderson Hall joins Beck Academic Hall — certified LEED Platinum — as the second BWBR-designed project to receive LEED certification at Gustavus. Originally housing the campus library and humanity and social science resources, the 27,000-square-foot Anderson Hall opened in 1948 but was vacated in 2011 with the opening of Beck Hall. The restoration brought the facility back online as a teaching and student resource center housing the Education Department, the Bonnier Multifaith Center, state-of-the-art classrooms, and student gathering and study areas. Showcasing progressive sustainability strategies in modern teaching facilities that reflect the school’s heritage and mission, the existing site and building exterior play an important role in attaining exemplary performance credit while maintaining the Scandinavian campus design style. The building structure was 91 percent reused, and over 95 percent of the construction waste was recycled. The team salvaged and reused as much of the original Mankato-based limestone as possible. Meanwhile, the site is a natural connection to the community — walkable, covered with draught-resistant native plants, and close to public transit. 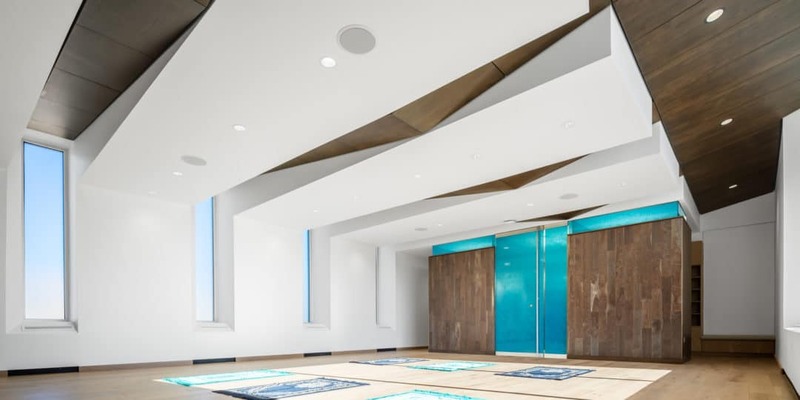 The multifaith center features low flow water fixtures, as well as daylighting strategies to enhance education practices and building performance without sacrificing privacy. Achieving energy cost savings of nearly 40 percent below baseline. With nearly 40 LEED accredited professionals currently working at BWBR, the firm is one of the leading advocates for sustainable performance design, incorporating green design strategies into complex environments like academic facilities, R&D centers, and hospitals. As part of a global movement to design smarter, BWBR signed the AIA 2030 Commitment in 2014 which challenges architects and engineers to make buildings carbon-neutral by 2030.